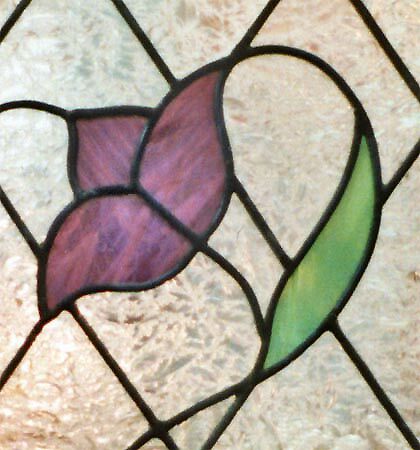 Purple Tulip Stained Glass Window, Diamond Grid, Custom Glass Design. "PURPLE TULIP" IN DIAMONDS STAINED AND LEADED GLASS WINDOW CUSTOM AT GLASS BY DESIGN. 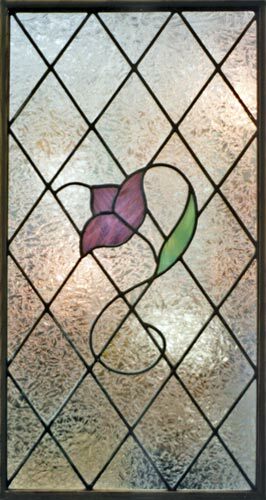 This custom tulip window was 22" x 42"
The purple tulip is set in a background of diamonds in gluechip glass, but you might prefer Waterglass.